Mayhem erupted in the stadium in Bata when Tunisian players exploded in anger following a controversial penalty during injury time that paved the way for a quarterfinal victory by Equatorial Guinea. 6 The controversial penalty that changed a thrilling football match into a boxing match. January 31, 2015. 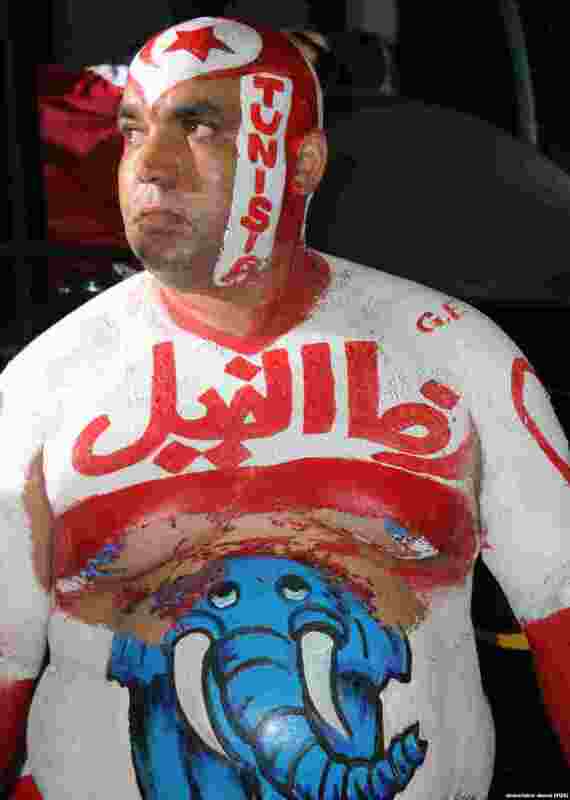 7 A disappointed Tunisia fan following the lost of his team to Equatorial Guineans in quarterfinal match. January 31, 2015. 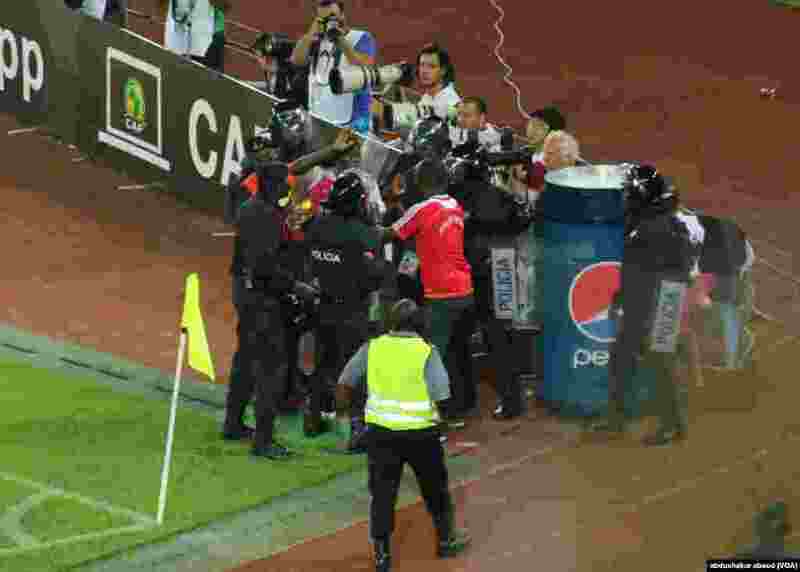 8 Police officers try to remove an Equatorial Guinea fan who ran onto the pitch after his country scored a goal against Tunisia. January 31, 2015. 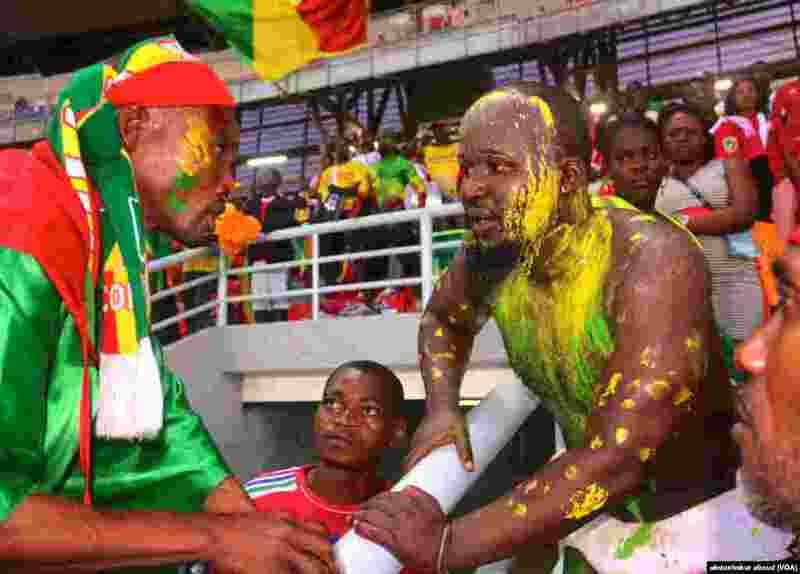 9 Fans of Congo's Red Devils hold heated discussion as their team trailed archrivals Democratic Republic of Congo in the AFCON quarterfinals. DRC went on to win the match. January 30, 2015.